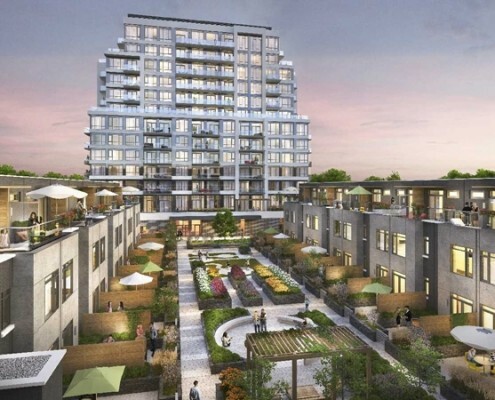 A big part of successful condo investing is being able to identify hot up and coming neighbourhoods which allow investors to get in before prices sky rocket. 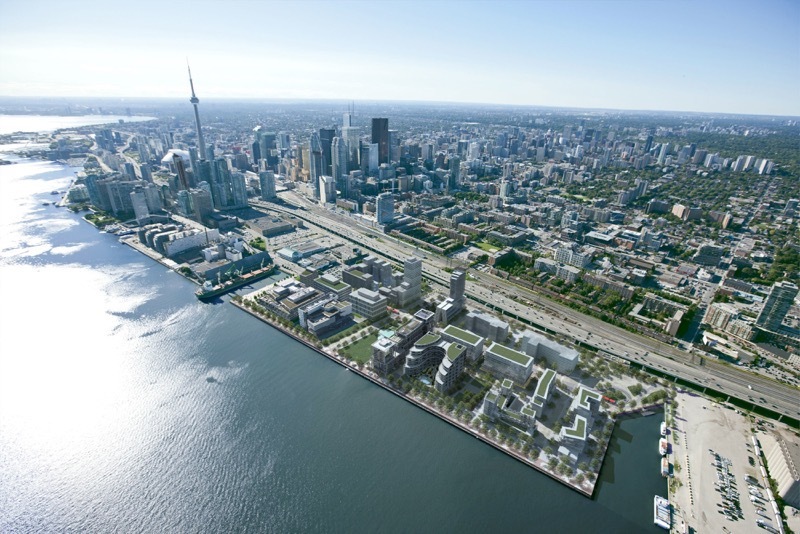 Early investors in areas such as Liberty Village and Entertainment District are seeing huge returns on their investments. 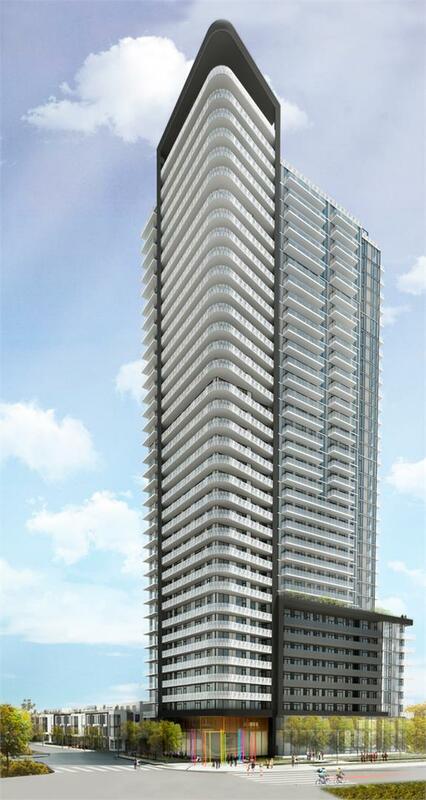 Below is our list of the best up and coming neighbourhoods and notable condo projects in each. 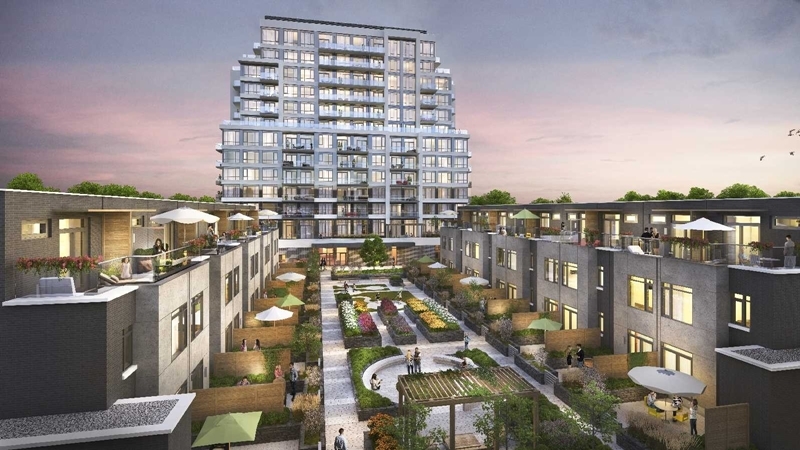 If there was ever an example of how a group of partners can transform a community into a thriving, mix-use neighborhood with rental buildings, condominium buildings, townhomes, commercial and community space, Regent Park is the perfect one. 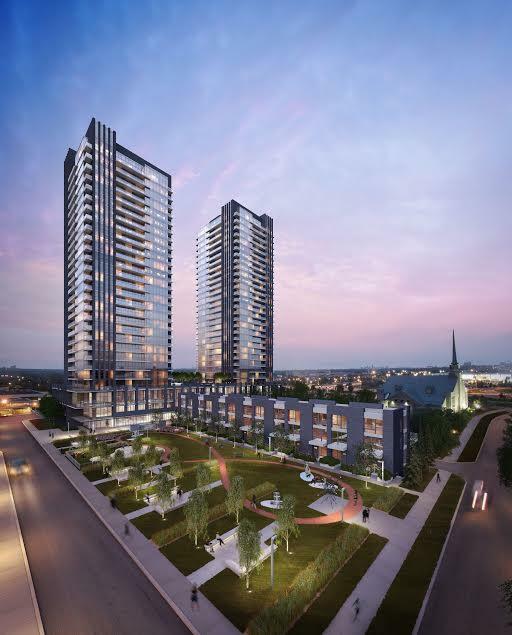 Bounded by River Street-Queen Street East-Gerrard Street-Parliament Street, this entire neighbourhood is spread out over 60 acres and 5 different phases. The anticipated project length is a total of 15-20 years. There is still some way to go with Phase 3 having an estimated completion time of 2019. Transit is an incredibly important element when it comes to pinpointing areas of growth. When the City announced the Eglinton Crosstown LRT there was a scramble from both commercial and residential developers. The 19km line rail line will run from Kennedy all the way to Mount Dennis with 25 station stops in-between. One of them is right at the Science Centre at Don Mills and Eglinton. 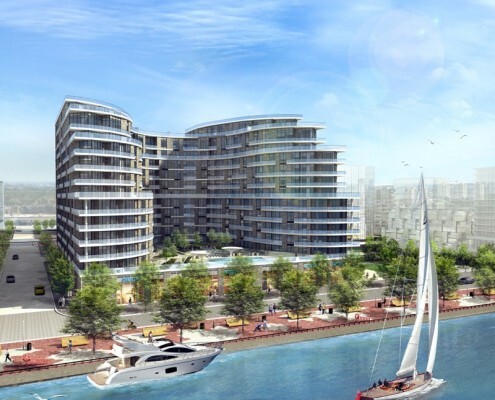 What’s incredible is the amount of planned residential and commercial development already. This area is going to see a huge boost in demand and in-turn strong appreciation. “IT’LL MOVE YOU” is the slogan coined by the committee involved with one of the largest transformations in the GTA. 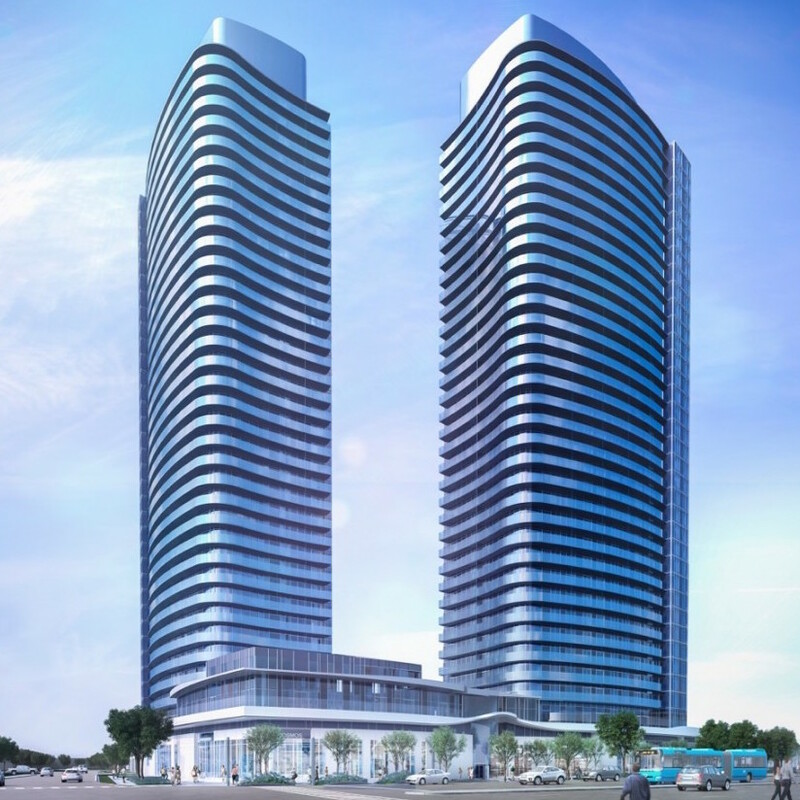 Vaughan intends to create an entirely new downtown by 2031 and it is all centered around a regional transit hub that includes subway connected to Toronto. 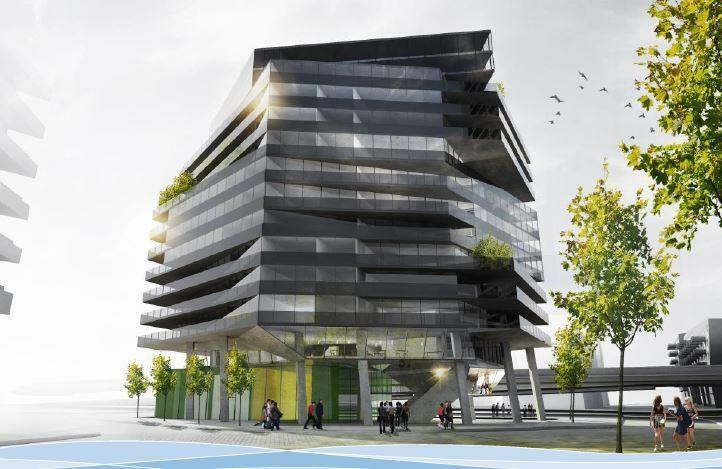 The city is offering huge financial incentives for companies to build office space in this new ‘VMC’. 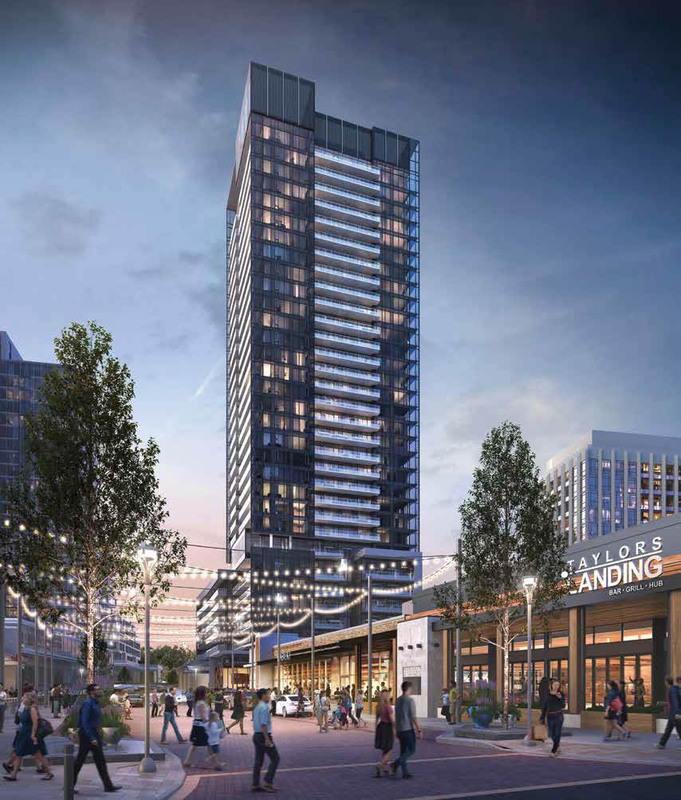 This entire area sits on 442 acres and it will include more than 1.5 million square feet of commercial office space, 750,000 square feet of new retail space, 12,000 residences, new cultural spaces, hotels, and entertainment venues. The City of Vaughan estimate more than 20,000 people will be passing through the VMC mobility hub DAILY. 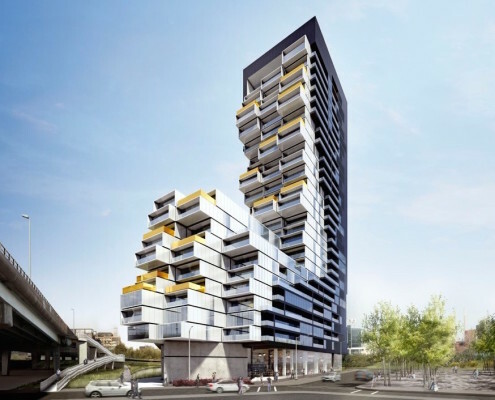 The crown jewel in Toronto’s Waterfront initiative, it’s proximity to the Financial District and Lake Ontario will make East Bayfront one of the premier neighbourhoods in all of Toronto and perhaps one of the most significant waterfront communities on the planet. Much like the previous neighbourhood, the transformation is in phases which will unfold over the next 10-15 years. Historically, the area was an under-utilized neighbourhood with warehouses and old industrial factories. 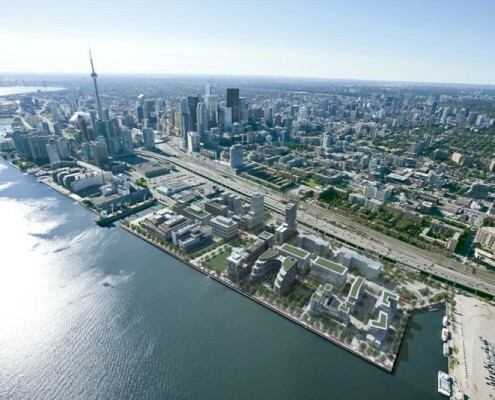 After years of planning, the revitalization has started with the first wave of condominium buildings, Corus Entertainments brand new HQ, George Brown College’s waterfront campus, as well as some tremendous and award winning public spaces including Sugar Beach. 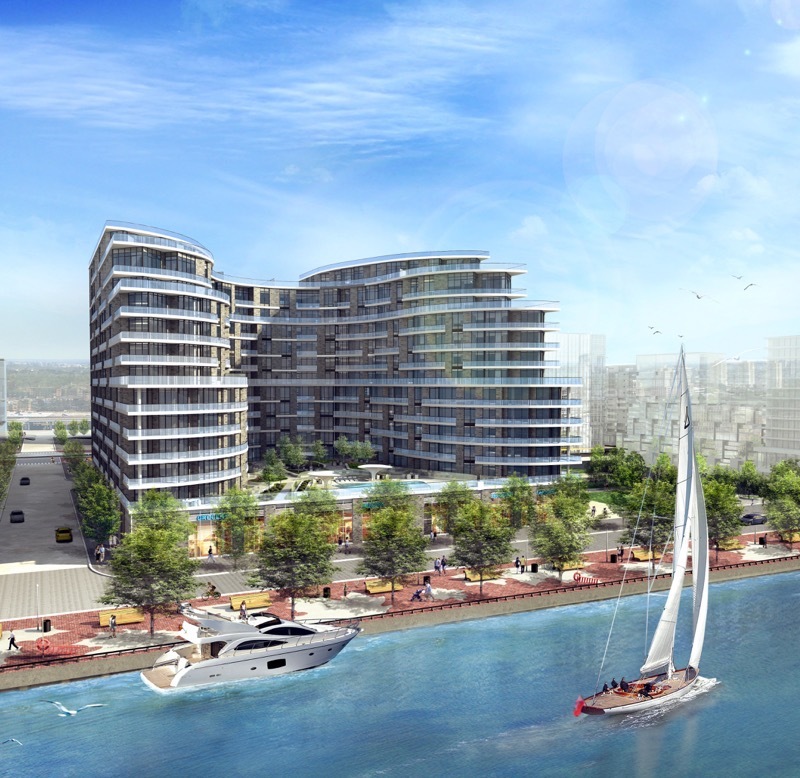 Much like East BayFront, the West Don Lands was a site filled with old, industrial buildings and is now being transformed into a sustainable, mixed-use community. 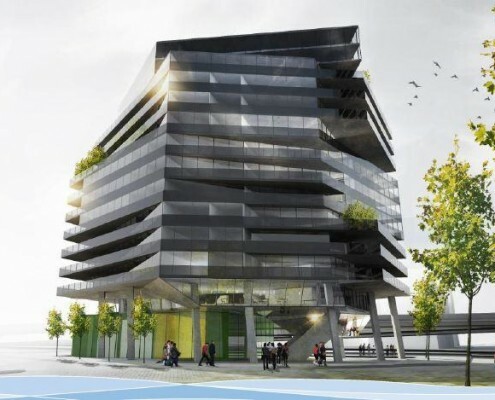 The entire space will feature 6,000 new residential units, new employment and commercial spaces, an elementary school, child care centres, all surrounded by beautiful, 23-acre park and public spaces. The revitalization has also spurred on an incredible amount of creativity – especially with the use of unique urban spaces such as the underpass park – a space located underneath a series of overpasses, as well as Corktown Common – an incredible new 18-acre community park built on flood protection landform that opened in 2013. 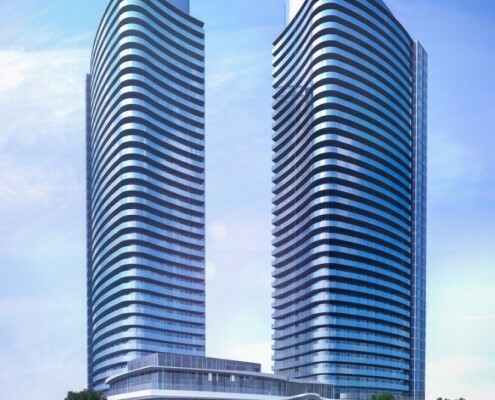 Shops at Don Mills is a very popular outdoor mall located at Don Mills & Eglinton. 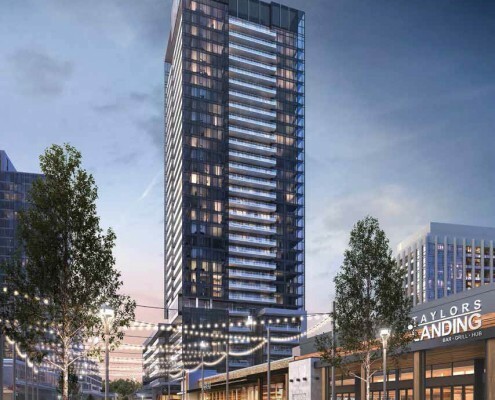 Cadillac Fairview are in the process of investing over $21 million to further improve the shops and connections to the upcoming Eglinton LRT line. 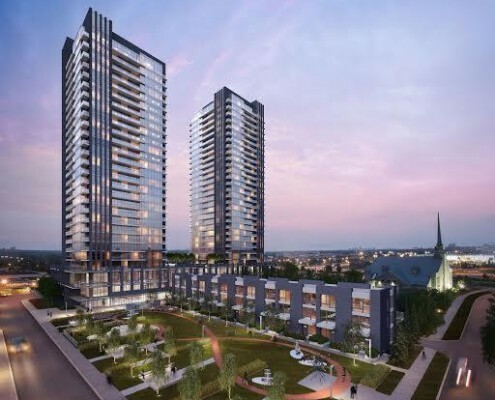 The developer recently announced a 5 phase condominium development in collaboration with Lanterra Developments that will further transform the already popular neighbourhood. 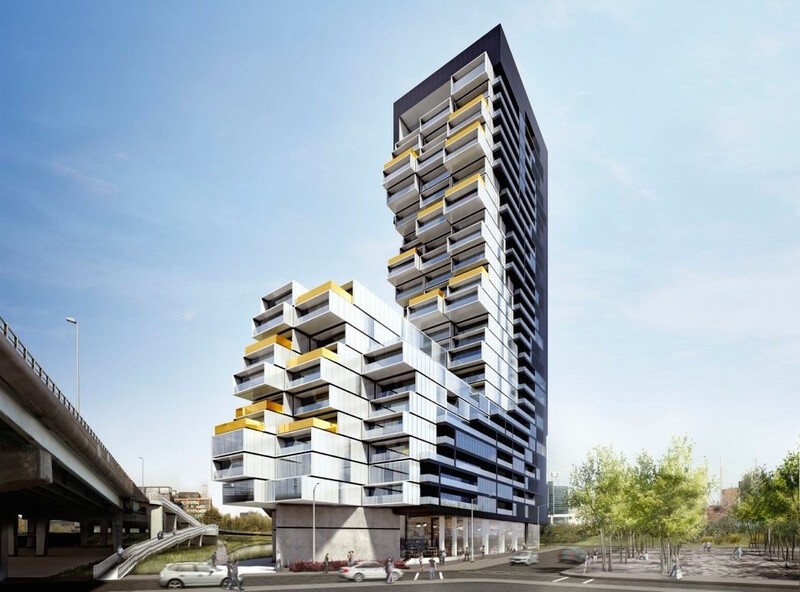 Interested in investing in Toronto’s up and coming neighbourhoods? 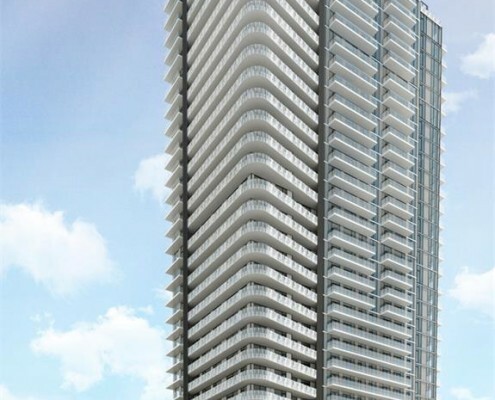 Contact TalkCondo’s new condo experts for more information or register for our Insider Club to get the latest new condo projects delivered right to your inbox!